My personal 13 year journey to become a certified personal trainer has lead me to teachers that taught me how to overcome obesity, chronic depression, and change unhealthy compulsive behavior dependencies. I have combined all the lessons I have learned to teach my students how to safely and permanently burn body fat, while regaining their optimal movement and physique. You CAN DO IT, and IT IS WORTH IT! In addition I have studied human movement and strength training at a graduate level, and have earned multiple prestigious certifications through StrongFirst and the FMS. I chose to continue learning and enhancing my skill set as a coach for 6 years after first becoming certified as a Kettlebell instructor through StrongFirst before creating my company. I waited to be sure I was the only gym in Reno offering the most advanced, safest, and effective practices needed to bring about the best possible change in each of my students! 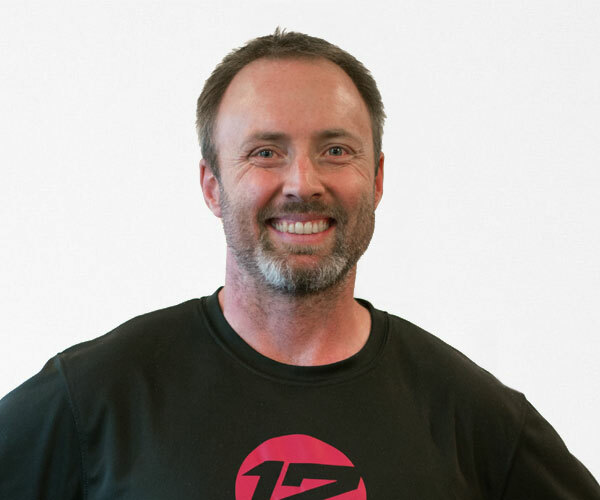 As a fitness coach and certified personal trainer I am still learning directly and indirectly from the A12, StrongFirst, and FMS communities which boasts the greatest minds in strength and movement training throughout the world. Read about my Amazing 12 Week Full Body Transformation program and Kettlebell group classes. To the best of my knowledge I am the only one-on-one and group class instructor currently in Reno, NV that utilizes multiple forms of biofeedback to accurately track how your individual body is responding to each and every workout, during and after. These principles further enhance training and even more important, recovery, ensuring you are in the sweet spot to elicit the best gains while negating the risks of overtraining and injury to the fullest extent possible. Lastly, we have a saying in StrongFirst, “Strength Serving a Greater Purpose.” Yes we all want our best physiques, even more important is creating the best possible version of ourselves for our family, friends, profession, passionate pursuits and community. As a certified personal trainer I have found and utilized countless techniques on my journey to reclaim my personal vigor, and I will continue providing solutions for any student I work with providing they are willing to ask and then try to their fullest extent.